Making your live streaming experience better and easier is our goal at DaCast. 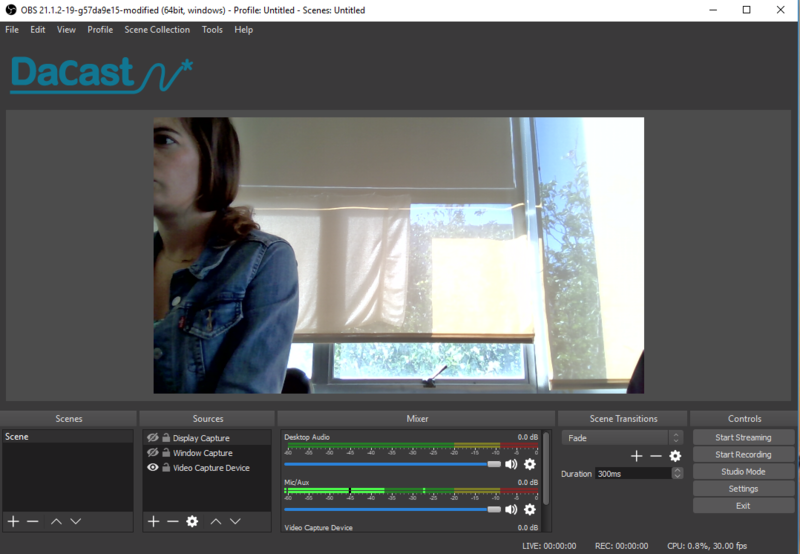 This is why we have developed a custom version of the free live streaming software OBS Studio. The latest version we released in October 2018 is in beta. Customers who do not have access to our current low latency streaming options but are interested in testing HLS stream ingest will be added to our waiting list. Streaming using a HLS stream ingest will provide you with a latency around 10s in average. 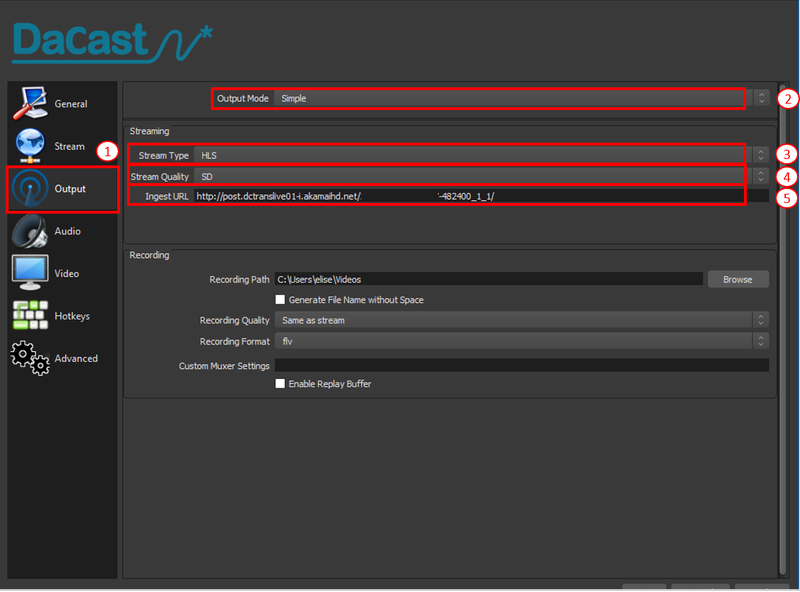 Setting up your low latency DaCast channel using DaCast version of OBS Studio is easier than even thanks to the direct integration with DaCast and pre-defined encoding profiles. Can you create a low latency channel in your DaCast account? If you are running on a Premium plan or above you should automatically get access to it. How to know what your IP address is? If you do not have access to low latency channels, you will be added to our waiting list and we will get back to you. 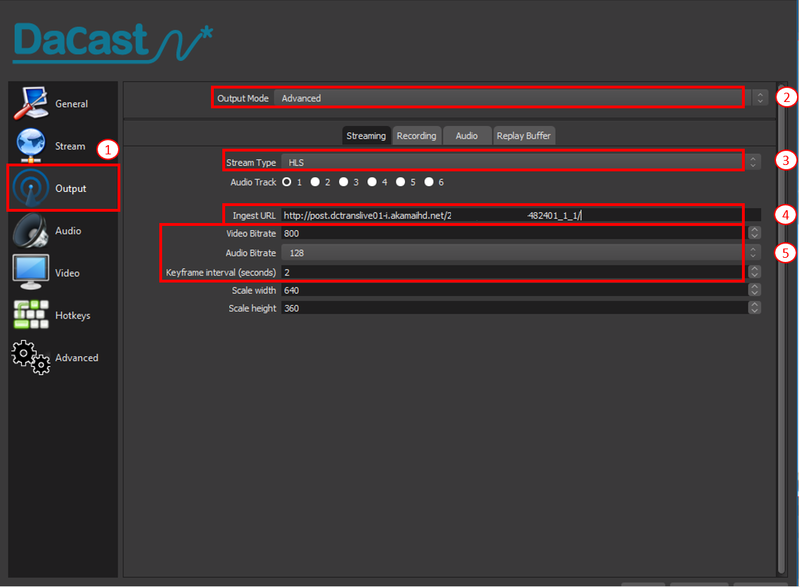 Is DaCast low latency streaming solution compatible with DaCast OBS Studio only? No, you can set up your DaCast low latency stream with any other software or hardware encoder which is compatible with HLS direct ingest. You may see a warning sign telling you the source of the program couldn’t be verified. No worries, this program is secure. Just click on “more info” and then on “run anyway “. On Mac, click on Ctrl while double clicking on the icon to install the software. 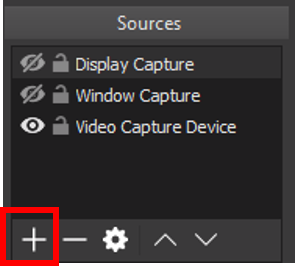 You can add as many video sources as you want, re-order them and play with them using the eye icon if you want to show multiple sources during your stream or even alternate video sources. 5.1. On the left side menu, please select OUTPUT. Select the quality based on your upload speed. For this tutorial, we have selected SD. Please refer to the end of this tutorial to get the specs of each video quality. Make sure to not enter an extra space when copy pasting it. The process is the same as for the previous step except that you can enter the video bitrate, audio bitrate and keyframe interval (step 5 in the screenshot). We recommend that you keep the keyframe interval at 2s in any case. 7/ Once you are happy with your stream settings, click “OK”. The “Share Code” that is an URL allowing you to share your live event on your social media platform. What if you cannot get your stream to work? What if I am using my own HLS encoder?